Most locals in Lynn Valley will gather at the Black Bear Pub to watch the game. There are several big screens indoors and outside on the patio. The patio has adequate seating for a small group and is perfect to enjoy the fresh air while escaping the blazing sun during the summer. 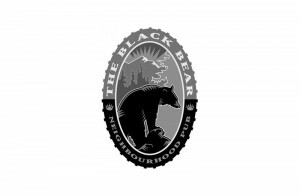 The Black Bear Pub in Lynn Valley has been in operation since 1997 and a favourite local watering hole ever since. It was built in an authentic turn of the century craftsmen style with high ceilings complete with a stone fireplace and some beautiful historical decor. The Bear is a great spot to stop for a drink and a meal after a long hike or ride through the nearby trails in Lynn Canyon Park or on Mount Fromme at the top of Mountain Highway. The food and service is and always has been fantastic, there is a great selection of local craft and international beer as well. 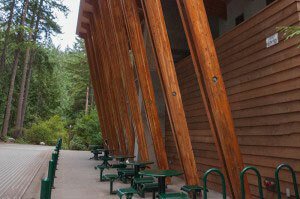 The Black Bear Pub is located at Lynn Valley Centre near the corner of 29th St. and Lynn Valley Rd. There’s plenty of parking and busses stop frequently close by. If you’ve been searching for a long stretch of pavement with no cars to bother you, look no further. 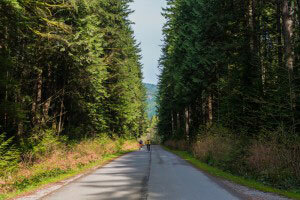 The Demonstration Forest Road in North Vancouver is 12km of car free heaven. Bring your bike or your best street runners and do some warm up stretches before you follow this windy road through beautiful BC Forest. It’s a real challenge too as it’s not entirely flat and there are some long hills you’ll have to climb, but the downhill is always worth it! This is a very family friendly excursion. A perfect place if the kids want some space to practice riding their bikes. Keep in mind that it’s a long way to the end so ensure you’re prepared for a few gruelling hills and bring lots of water. The Demonstration Forest Road is part of the Lower Seymour Conservation Reserve which is South of the Seymour Water Shed. If you follow the road to the very end you’ll reach the Seymour Dam. There’s a great viewing area so it’s worth the trip! When you’re rested up and ready to make the trip back just follow the same road you came there on. From the highway take the Mt. Seymour Parkway exit and then go North on Lillooet Road for about 4.6km. There is a large parking lot at the end of the road before the entrance to the Demonstration Forest. 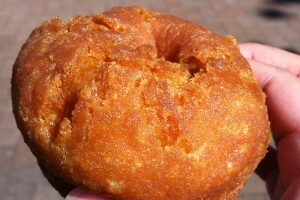 When you mention Deep Cove, people know you really mean Honey’s Doughnuts. 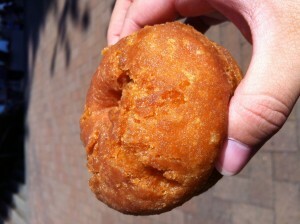 No visit to Deep Cove is complete without grabbing one, or two, or three of these delicious doughnuts. Sure there are other things to do in the area, but the main attraction are the doughnuts. If your significant other tells you the lineup is way too long and out the door, don’t worry it moves fast. It would move faster if people knew what they wanted and perhaps had their money out to pay… I’m not here to stare at the back of the person’s head in front of me… I want a doughnut. Try a regular one before you try any of the other flavours. They are perfect when they are warm and soaked in syrup. Like I mentioned before, this place is usually busy and packed to the gills in the warmer months. If you want to take in some of the nature of the area, they pack them to go in paper bags. I can’t ever get too far before ripping into the bag. – At exit 22A, turn right onto mount Seymour parkway. – Follow this road till Deep Cove road, then make a left turn. – Continue on Deep Cove road till the end as it turns right onto Gallant Road. We are located on the right hand side of Deep Cove’s main street. Who could resist standing at the foot of a beautiful waterfall in the middle of the forest, especially after hiking for 7km! 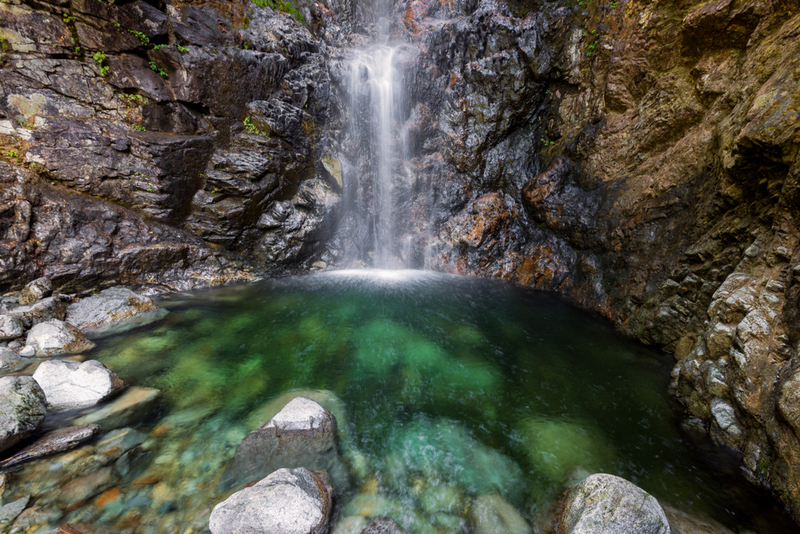 Norvan Falls in North Vancouver is still a hidden gem but is becoming more and more popular every year. The journey to Norvan Falls is long but very worthwhile. Not just for the reward at the end of the trail but for the beautiful forest and scenic North Vancouver mountains you’ll see along the way. 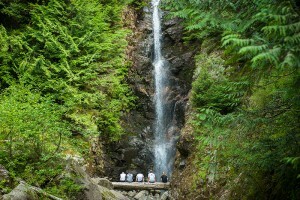 Norvan Falls is 14km round trip on a fairly flat trail that follows Lynn Creek for most of the way. 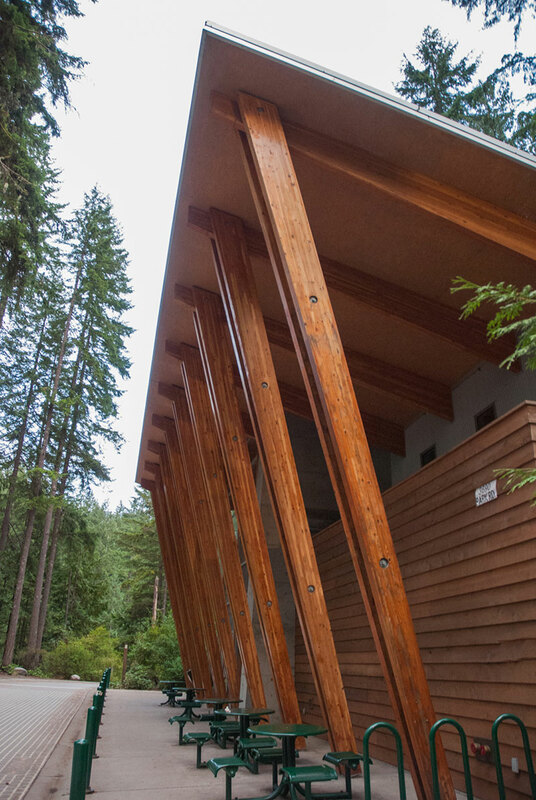 It begins at Lynn Headwaters Regional Park and ends after a 7km walk through the wilderness. The first 4km follows a well groomed trail along the river. There are a few side trails that will take you down to the water if you have time for a detour. Don’t wander too far though. After 4km you will come to a rocky clearing known as the debris chute. On the left you will see a small trail that leads down to the water. It’s worth taking a look as there is some spectacular views of the surrounding mountains. Once you’re finished taking a well deserved break follow the trail at the top of the debris chute that leads to Norvan Falls. You will begin to hear the sound of rushing water as you approach the falls. The trail follows a long boardwalk and then descends down towards the river. When you reach the falls there is a small lookout spot but due to the erosion it’s a little dangerous and probably better to avoid. Follow the trail down to the water and take in the amazing scenery. There are plenty of large rocks to sit on and set up a picnic if you have one. If you’re up for a bit of rock hopping you can get right up close to the falls. There is a large tree stump across the pool beneath the falls that is great to sit on and take it all in. Be sure to watch for falling rocks from the falls and the surrounding cliffs. 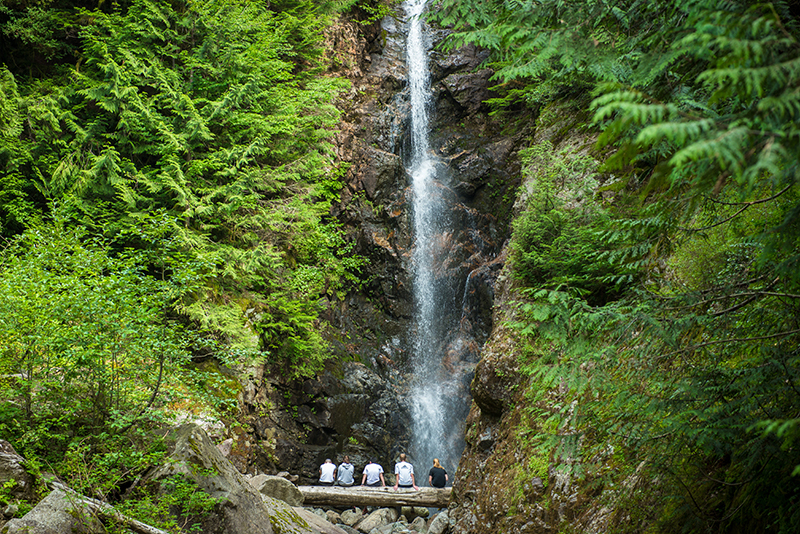 When you’re done taking in the falls you can return to the Lynn Headwaters Park entrance the same way you came. Just make sure you leave with enough time to make it back before dark. Follow Lynn Valley Road Northbound until you reach the entrance to Lynn Headwaters Park. It’s just past the End of the Line cafe. Continue straight down the narrow road until you reach the parking area. There are 3 lots plus an additional overflow lot but it does fill up quickly so the earlier you start your hike the better.